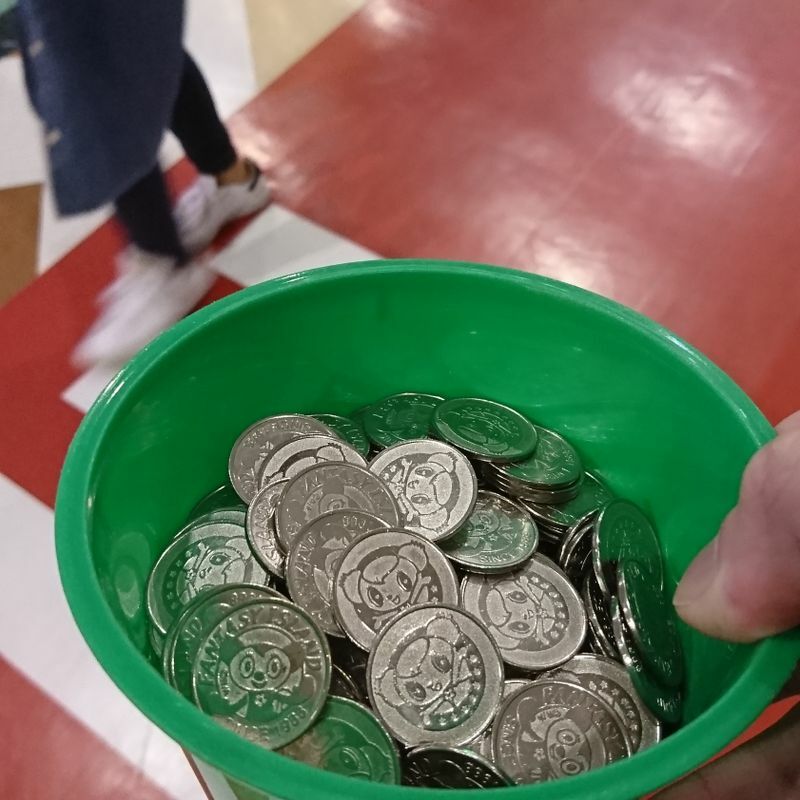 I love medal games, or coin pusher games. The first time I got into them, I was immediately addicted. 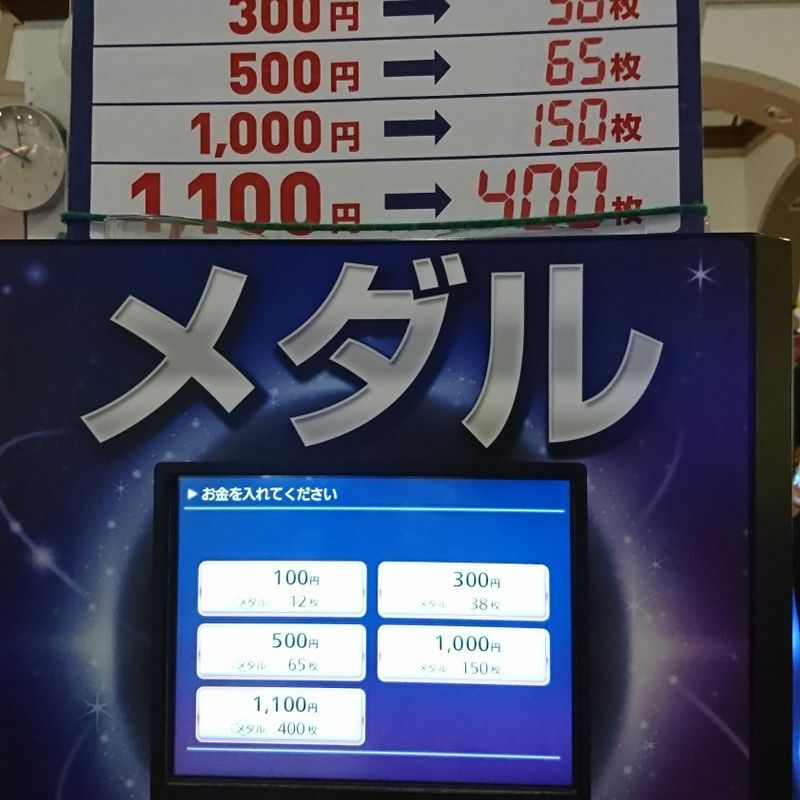 From afar, it looks like another form of gambling similar to pachinko, but I have never played pachinko, and, for me, the image is quite different. Medal games in Japan are usually more family-friendly. You can often find them in arcade centers next to the UFO catchers, so it is very different from the typical image of the smoke-filled room with lots of jobless men gambling their lives away. Also, you do not win money from such games so it really is just something to enjoy with no actual reward other than the excitement you have had. Anyway, if you are interested, how do you get started? In medal game centers you will find a machine in the middle. By inserting money you exchange this for gaming "coins" by touching the value on the screen. 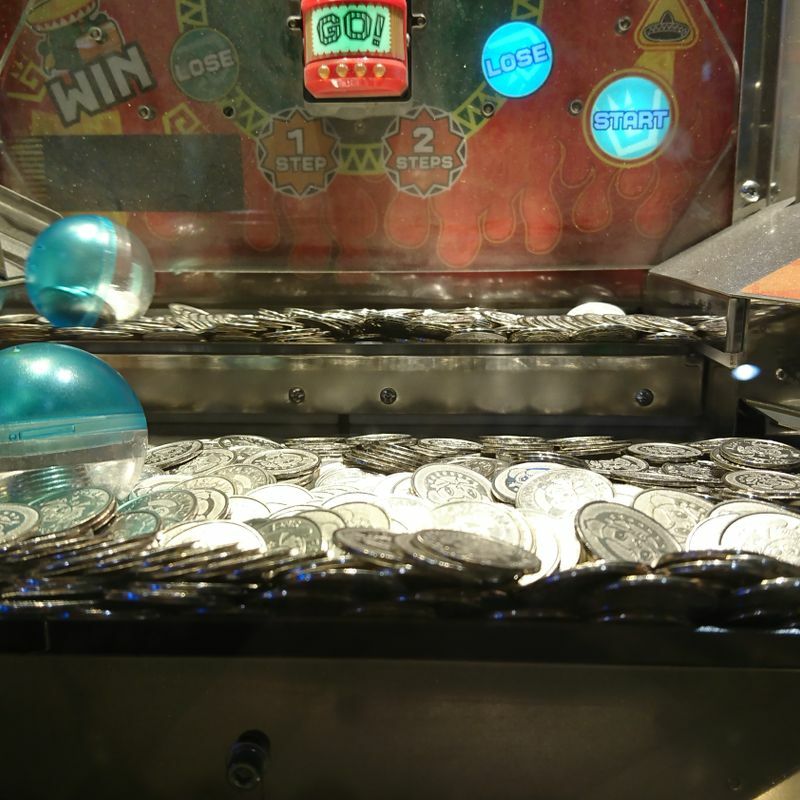 Make sure you have one of the cups next to the machine at the bottom ready so that the coins will fall right into the cups and you are ready to go. Just a tip, the game center people want you to stay for longer so usually exchanging a higher value will net you more medal coins in ratio. For example, the one I go to gives you 150 medals for 1,000 yen, but just a 100 yen more and you get 400 medals. Yes, it is a consumer's trap, but if you are there for the fun, this is a trap you might want to fall into voluntarily. After that, choose any machine available that looks attractive to you and you can start putting coins into the machine to see them being tossed down to the pile and hopefully cause other coins to be pushed, resulting in some of those coins falling into the endless pit at the bottom. Those coins that drop into the pit will then come out in front of you and they are yours to play with. 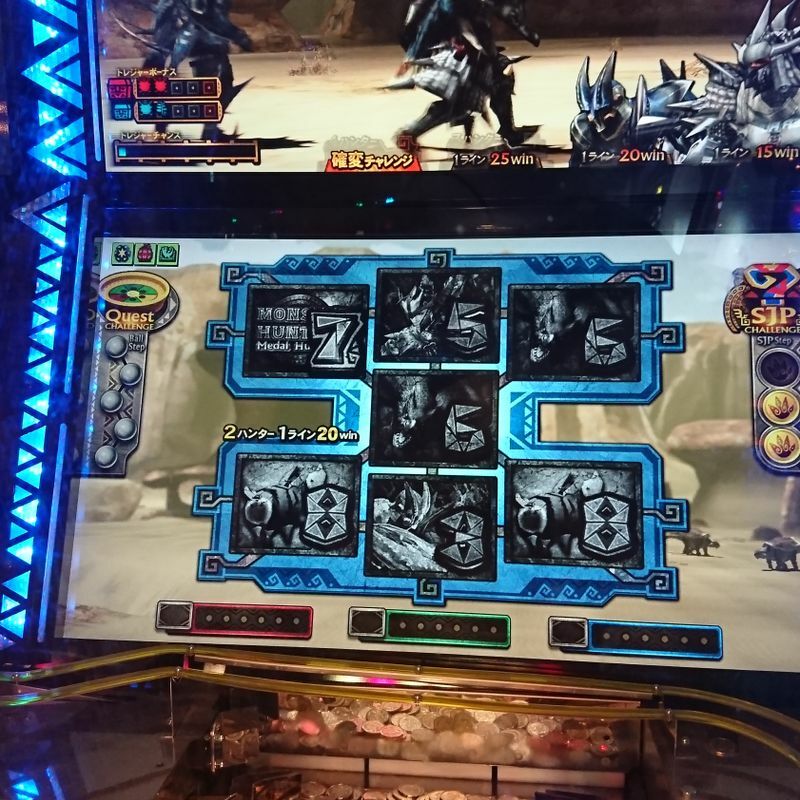 Each machine has different rules and different play styles, but instead of thinking about winning, I think it is best to start off by just choosing the machines that look attractive to you. You will find some newer machines as well as some retro ones at the game centers here in Japan. Some are also obviously geared towards kids, which some people would find questionable because the act of this is undoubtedly very similar to gambling, but not all parents mind, I guess, as I see many families playing together. When you are done for the day (or when it is time for them to close up even though you are still playing), there is another machine somewhere in the center for you to store your coins. They might require you to sign up so you can have what is essentially an account in their coin back, but then you can come back on a different day, put in your pass code, get your coins, and keep playing.